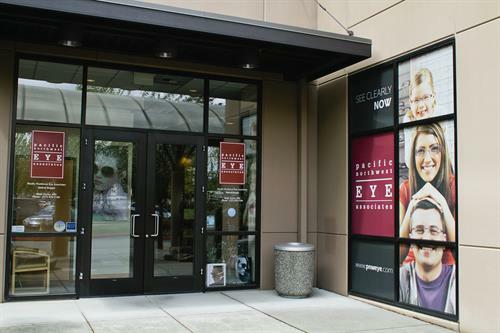 We are dedicated to improving lives through better vision by providing the best in comprehensive vision care services to Pierce County and surrounding communities. 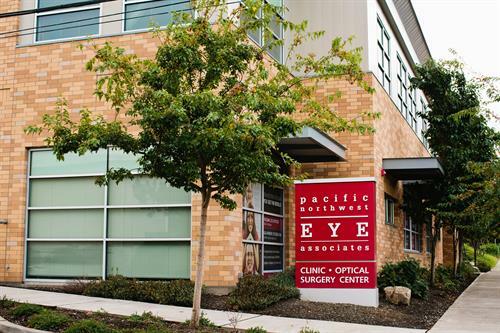 In addition to general ophthalmology, the skilled doctors and surgeons of Pacific Northwest Eye are recognized for excellence in the treatment of glaucoma, cataracts, retina, diabetic eye disease, LASIK and refractive lens exchange surgeries. Our team of surgeons, nurses and technicians are committed to exceeding your expectations and strive for surgical excellence in medical care we achieve superior surgical outcomes. Our Board-Certified physicians utilize the latest and most sophisticated instruments and techniques for laser vision correction, treating cataracts, monitoring glaucoma, fitting contact lenses and treating diseases of the retina. We are conveniently located in Tacoma and Gig Harbor. We are open Monday through Friday, 8:00 a.m. to 5:00 p.m.
Laser Vision correction will change the way you see the world! Pacific Northwest Eye accepts most insurance plans, Medicare and Medicaid. We also provide convenient no money down or interest payment options for elective procedures such as LASIK laser vision correction surgery . We also have negotiated reduced rates on LASIK with local employers and organizations, plus we support our troops with our Military Discount Program.